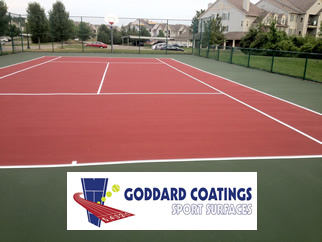 We’ve installed acrylic coatings on thousands of Michigan tennis courts, and we’ve partnered with the top tennis court sport surfacing manufacturer/supplier for our tennis court acrylic coatings. We are the experts in tennis court re-surfacing in Southfield, MI. Tennis courts for Southfield Michigan high schools, colleges, tennis clubs, Southfield Michigan country clubs, and tennis courts for cities and HOAs.